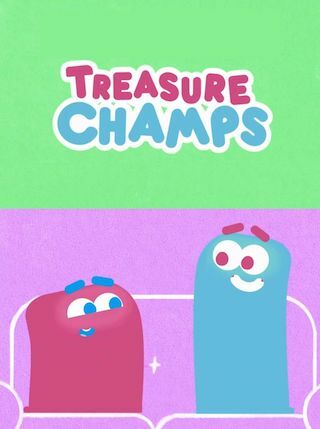 Treasure Champs is a British 15 minute scripted children television series, which kicked off on January 6, 2018, on CBeebies and is broadcast every Saturday at 17:00. The show is currently in its 2nd season. CBeebies is yet to announce the renewal of Treasure Champs for Season 3 as well as its cancelation. Sign up to track down the show's status and its release date. Treasure Champs is a preschool mixed media show exploring moral values common to different faiths and cultures. It features two comedic animated characters (Barry and Kari) who explore a different value, or treasure'. A wide range of treasures are explored including Courage, Honesty, Trust  even Democracy and Sacrifice! Each episode also includes a live action retelling of a fable or a story from a faith tradition, plus short films about inspiring children who are living out the treasures in their daily lives. A funny and warm-hearted series for older pre-schoolers and their families.